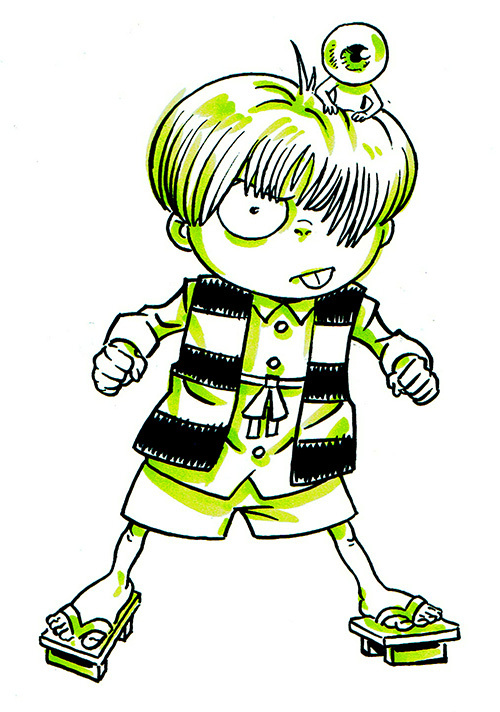 A few years ago, there was an anime called “Hakaba Kitarou“, and it was a closer adaptation of “Gegege no Kitaro” than the previously animated versions of the manga. As much as I enjoy it, I have a soft spot for the first, b&w version from the 60s. The most drastic difference is the visual design of Kitaro, which is creepier, and his demeanor in the show is sharply less friendly than all others. If you’re a fan of Kitaro (in any form), or truly enjoy the original manga, then it’s a must see.